I didn't finish this game. Let's get this stated right from the start because, to some people, not finishing the game means you can't provide a well-rounded opinion of it. If you're one of those people, please stop reading. I wanted to finish it, I did! But there's a point where timeliness and necessity intersect. Would my opinion change about the game if I put in three times as much time as I already have to get to the end credits? In some cases, sure, but I don't think this is the case with GALAK-Z. It's made for replayability. The gameplay is why it exists, not the story or end goal. GALAK-Z's influences are extremely obvious, right from the start, and they hit a lot of nostalgia buttons for me. It's a blend of arcade gaming, Macross, Voltron, and some Halo. When it starts, it looks like an arcade cabinet booting up. You control a space ship that can transform into a robot. The levels are all randomly generated, with a randomly selected objective, and they're delivered in groups of five episodes (levels) per season. Each season ends with a boss fight and some story narrative. It's all very Saturday morning TV. Nostalgia is what works best in this game. What works second best is that replayable gameplay loop. In order to finish each episode, there are enemies and environmental hazards everywhere. This is where the Halo influences come in. It looks like a twin-stick shooter, but your ship is more survivable, and so are the enemies. Movement is extremely important, as you can face, shoot, and move in any direction, but you can also jump over shots and enemies. Enemies are numerous and you will die repeatedly. In "Rogue" difficulty (the default), death means you start the season over. Everything you've found and unlocked is wiped clean, with some minor exceptions. In a Rogue Legacy twist, there's an item shop between episodes and you can find blueprints, which make upgrades available in that item shop. You can also find permanent upgrades that survive death. There is also a currency that you find by destroying enemies and it can give you either more credit in your next life, or another attempt at an episode you failed. In Rogue difficulty, early levels are spent gathering as many upgrades and credits as you can, because failure means you don't lose much. When you're three or four episodes deep, you get a lot more cautious so that you don't lose an entire season over a bad decision. In "Arcade" difficulty, you don't lose an entire season over death, just the current episode you're on. The difficulty hasn't changed, but the punishment for failure is less harsh. It's this punishment that brings me to my love/hate relationship with GALAK-Z. I love everything that it's doing. It's nailing a lot of little design stuff in games that I think is great. It's a difficult game, and it's a rewarding game, but it hurts to lose so often. I'm a fairly determined person, who wants to see a game to the end, and I'm not sure I've got what it takes to ever finish GALAK-Z. It doesn't feel like it's unfair or completely random, but I've had seasons end in one dumb move. The levels are short so it's not hard to catch back up, but when I do complete a season, it feels less like I'm doing well, and more like I'm getting lucky. Even the Arcade difficulty isn't much of a saving grace because it means you get to beat your head against the same level over and over until you push through, or give up and start a new run in the hopes that you get better upgrades next time. I never made it more than 15 minutes into any particular run on Rogue Legacy. 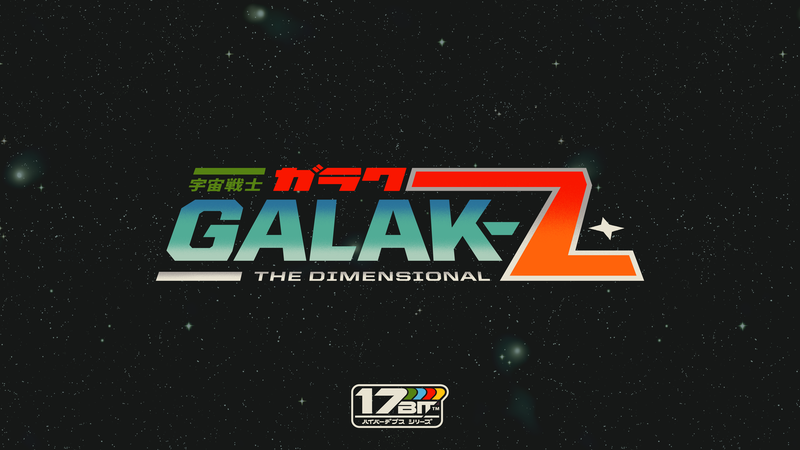 By contrast, I've finished almost two seasons of GALAK-Z, out of five. GALAK-Z is a lot of fun, but you have to either be great at it, or a glutton for punishment if you expect to get anywhere. You almost have to love GALAK-Z to want to see it through to the end, or else you might not have the commitment it needs to get you there. It's a well thought-out design that is going to press buttons for the right people, and completely turn off a lot of others.